This section relates to the expense claims handled by the Local Executive. 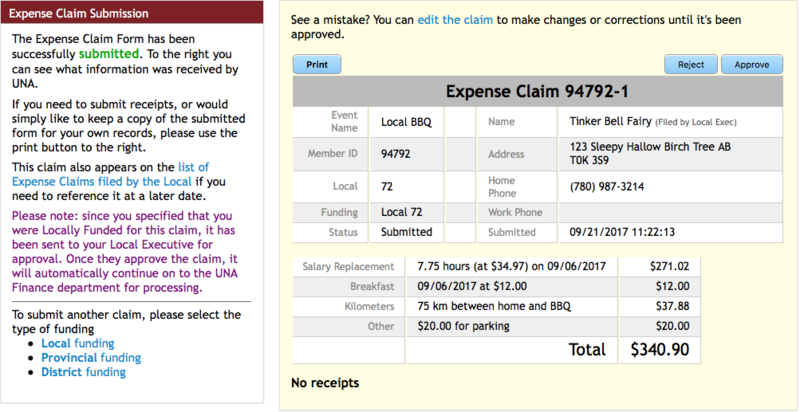 You are able to submit a claim for another local member or to approve/reject expense claims submitted. If one of the Executive submits a claim for a member, then a different executive member must do the review and approval process. If you begin a new expense claim from the Local Admin tab, the form appears and requires a Search to locate the required name. This step should be taken by any executive member other than the Treasurer so the normal review process can be done by Treasurer. 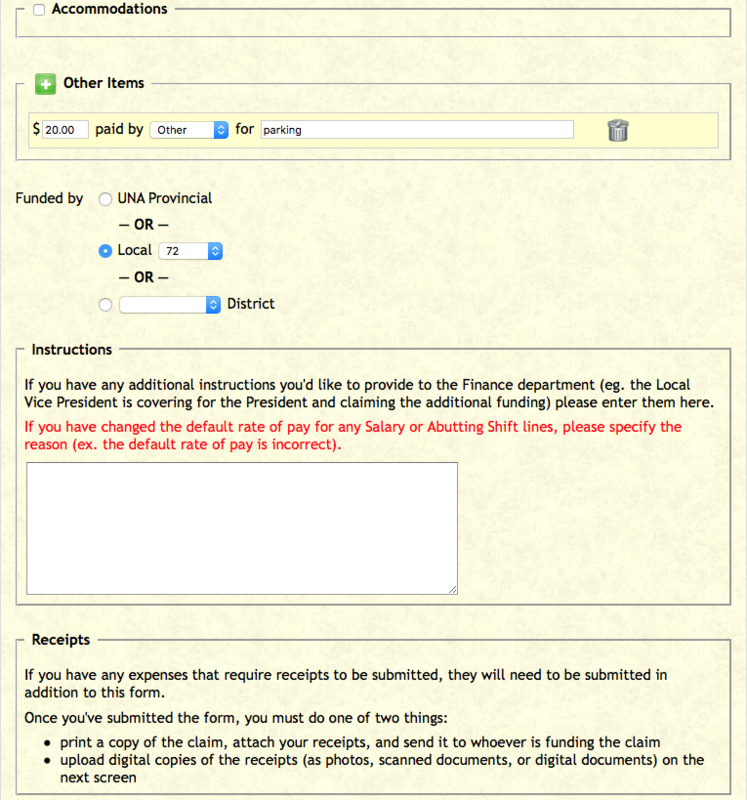 Under the New Claims option select to complete a Local or Provincial expense claim. The standard expense claim form will appear. Another Person will be checked off. To complete such a form, you must be an executive member of the local where the person’s membership is valid. Enter enough of the person’s name so the person can be located and click the Search button. Until this member enters their Direct Deposit information, an expense claim cannot be completed. From the results, click the Pick button to complete the selection process. The list of names includes an alert regarding missing TD1 forms required by Finance. 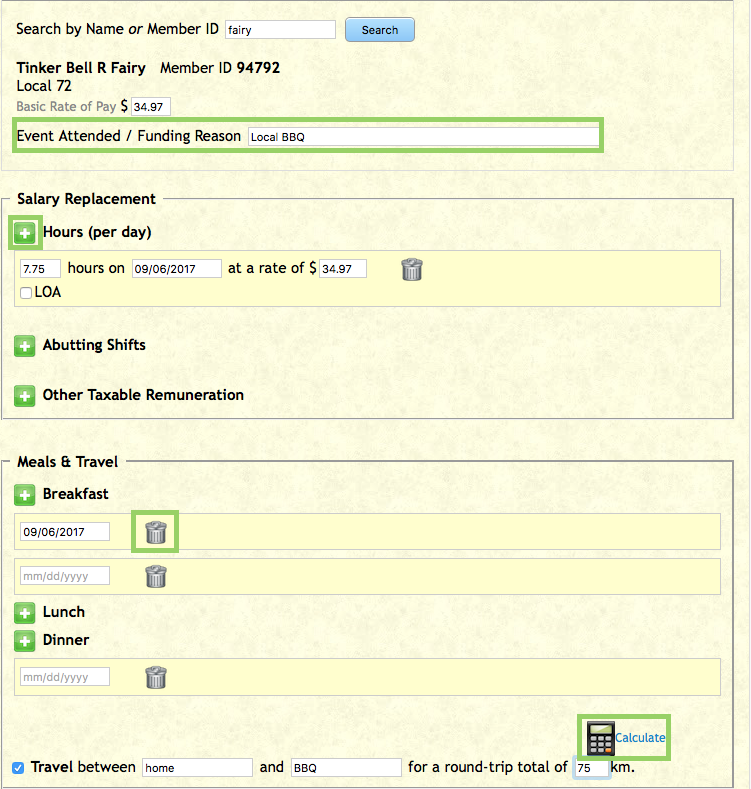 Complete the information requested exactly as you do on your own expense forms. The Plus Signs open that section to enter in details. The Trash Can will delete an entry. On the Travel section click on the Calculator to calculate the KMs if you did not record them in the car, it will open Goggle Maps. Funded by in this case, if by the Local. Click on Submit Claim to submit. The claim will show as submitted. There is nothing else that needs to be done. The Treasurer will need to review and approve.